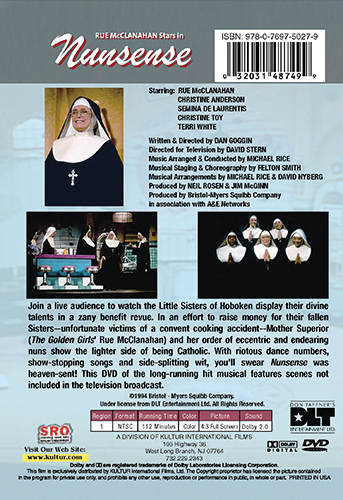 Join a live audience to watch the Little Sisters of Hoboken display their divine talents in a zany benefit revue. In an effort to raise money for their fallen Sisters--unfortunate victims of a convent cooking accident--Mother Superior (The Golden Girls' Rue McClanahan) and her order of eccentric and endearing nuns show the lighter side of being Catholic. 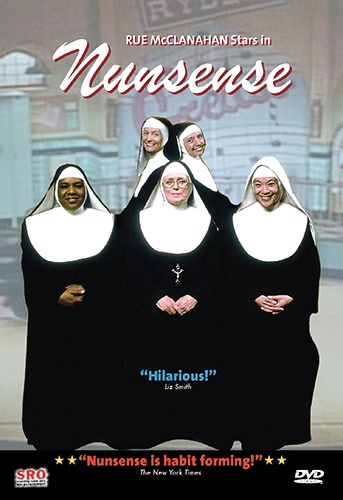 With riotous dance numbers, show-stopping songs and side-splitting wit, you'll swear Nunsense was heaven-sent! This video of the long-running hit musical features scenes not included in the television broadcast.